We are starting our new blogging year with something relaxing. After the feast brought by the holidays and the heating entertainment issues at the Metro Manila Film Festival, a foot massage should be perfect to help us start the new year right. Amidst my draining holiday schedule, a text from a new PR friend made me giddy. The Foot Massage Lounge in The Forum, Bonifacio Global City is throwing a generous bloggers treat to select online writers and I was lucky to be among them. But what are the things to expect in The Foot Massage Lounge at The Fort? I know you can imagine foot massage parlors where we see clients too close to each other, almost rubbing elbows, with some loudly chatting. The Foot Massage Lounge defies all these as it brings the concept of your own personal space as if you checked in at a luxurious hotel. 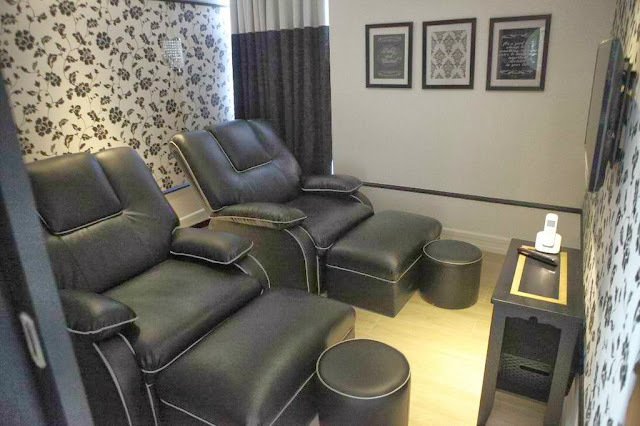 Forget about huge but hard couches and brightly lit massage shops, The Foot Massage Lounge exudes elegance and comfort so evident with its divine interiors. With shades of black, white and violet, all you can think of is enjoy each soothing pressure, close your eyes and rejuvenate. Their masseurs too are top-notch. They absolutely know which parts of the lower legs and feet need pressing and their movements are defined. Unlike other massage spas, they are courteous and are conscious of their movements so not to disturb their resting clients. The Deluxe Foot Massage is the common service which only costs PhP600 but I tried the FML Signature Massage (PHP750). It doesn't only focus on reflexology. Therapists also work their magic on your back and neck. For me, that was 75 minutes of Nirvana. Depending on your requests, you can also avail add-ons like head, neck and shoulder massage (PhP250 for 30 minutes) and back massage (PhP250 for 30 minutes). 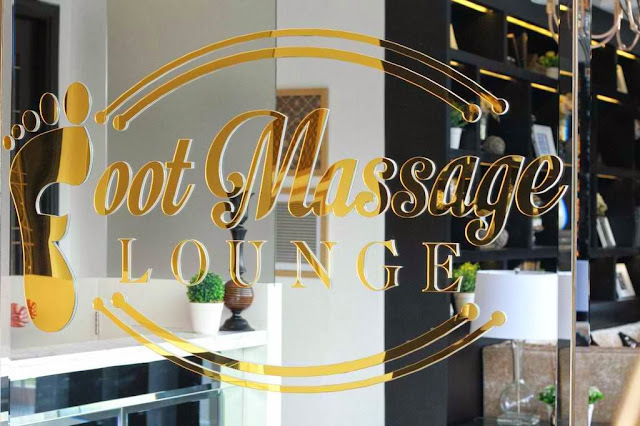 If you want to try and see The Foot Massage Lounge for yourself, pay it a visit at the 2nd level of Forum South Global Building at the corner of 7th Avenue and Federation Drive at BGC. 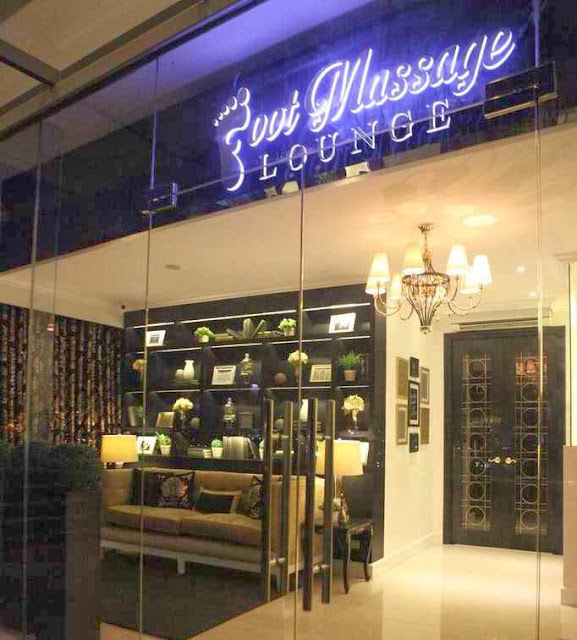 For more information, you can visit www.footmassagelounge.com or call 0926 733 4929 or 02- 218 6744.